Hope says, Don't leave Boulder without...hiking Mt. Sanitas! 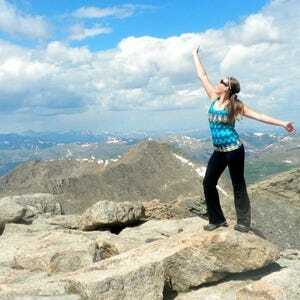 The view of Boulder is spectacular and the trek will leave you feeling like you've conquered Everest! With all of the physical activities to do in Boulder, Colorado and it's surrounding areas, starting your day off right with a delicious and filling breakfast to fuel your body is paramount. 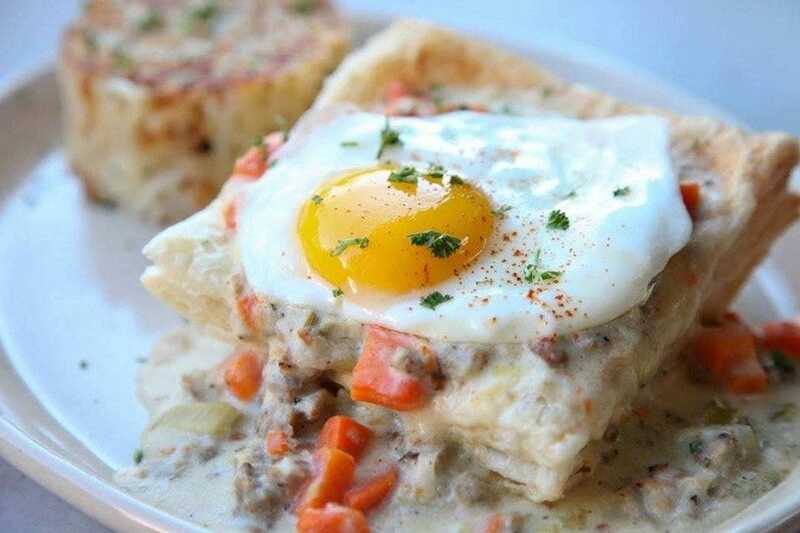 Luckily, Boulderites love their breakfast and you'll find plenty of local spots for pancakes, biscuits-and-gravy, eggs any way you want 'em, and much more. For variety, the Walnut Cafe, which boasts two unique and distinct locations, offers up Huevos Rancheros, Breakfast Burrito, and a Quiche of the Day. If you're in the mood for something quaint, Lucille's is just off the main strip of Pearl Street and serves up a delectable Cajun Breakfast platter. Snooze offers a beautiful atmosphere to start your morning, warm drinks, and an eclectic mix of breakfast and brunch items, including the Sandwich I Am served on a soft pretzel roll filled with scrambled eggs, cheddar cheese and a sausage patty, with a side of smoked cheddar hollandaise & house hash browns. 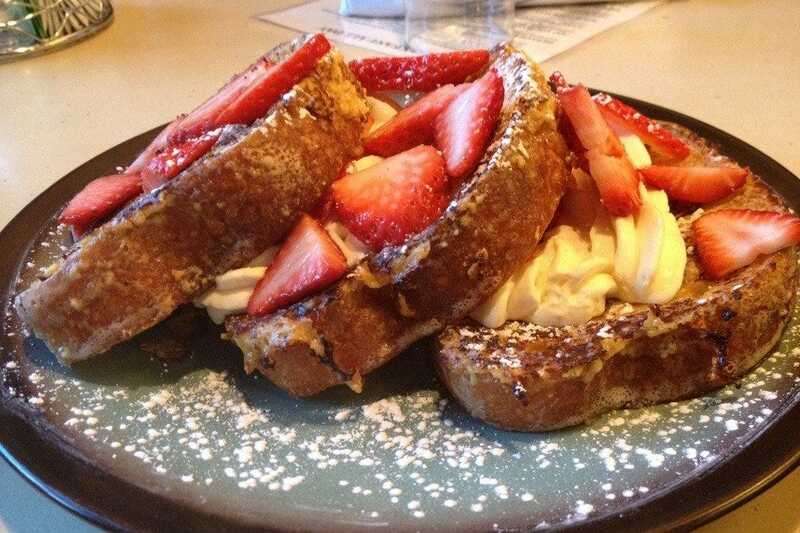 For favorite local spots with a diner feel, The Buff and Foolish Craig's top our list with some of the best french toast and eggs Benedict in town. Each restaurant on our list offers it's own, unique, take on Breakfast and we dare you to do breakfast anywhere else while visiting Boulder. 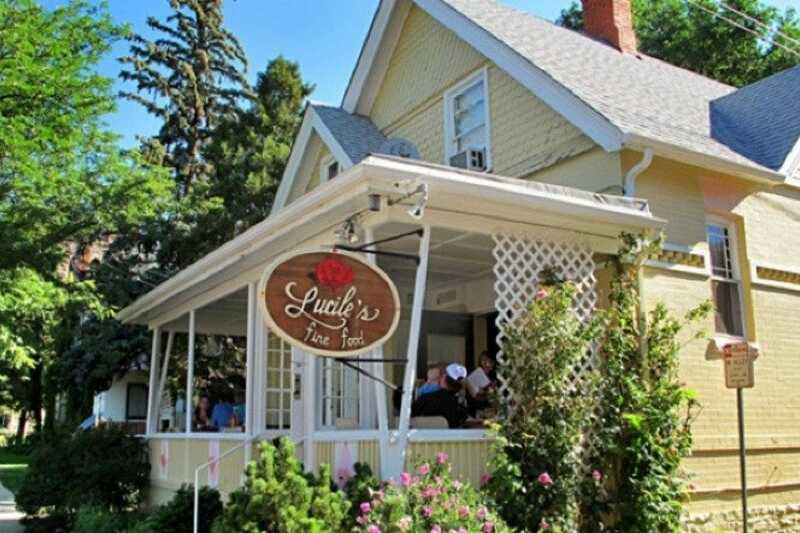 This popular restaurant offers some of the best breakfast fare in Boulder. The menu features traditional options such as egg and omelet combos, including The Swiss, pancakes, and waffles, along with a specialty breakfast chimichanga. The delicious whole grain nut toast is almost an inch thick. For something light, you can start off with cereal and fresh squeezed orange juice, Buff granola, or steel cut oatmeal. 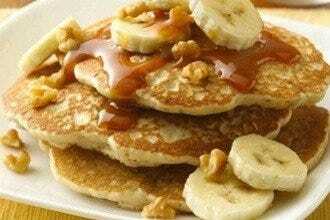 For something a bit more decadent, try the french toast, blueberry pancakes or griddle cakes. If you're in the mood for Mexican, the Huevos Rancheros are not-to-be-missed, along with the light but satisfying breakfast tacos. 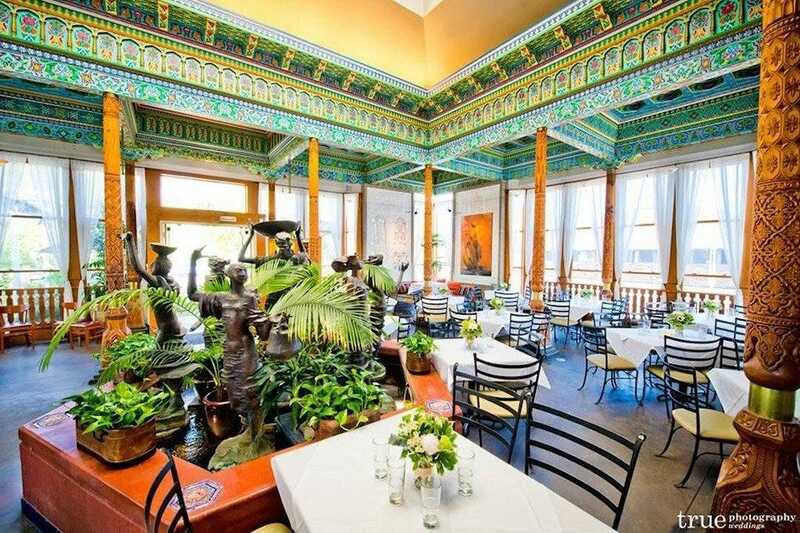 This lovely restaurant was a gift from Boulder's sister city, Dushanbe, Tajikistan, which donated the building to the city in the late 1980's. The ornately decorated structure was imported and then rebuilt by workers from Tajikistan. Offering a truly one-of-a-kind brunch, you'll find Indian samosas, German Bratwurst, and Korean Kalbi Short Ribs. For something a bit more traditional, you can try the salmon benedict, homemade oatmeal, or greek scramble. Appetizers include Persian grilled chicken strips marinated in yogurt and spices. Koresht Bademjan, which is Persian braised beef stew with eggplant, onions, tomatoes and spices served with orange currant couscous, and Persian tamarind shrimp are two of the featured main dishes. 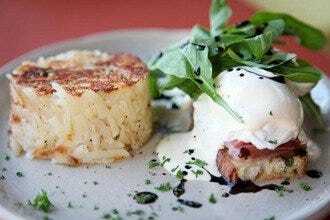 Providing delicious and unique brunch concoctions for over 34 years, Creole cuisine and old-fashioned Southern breakfasts top the menu at this popular restaurant. Start with a beignet pastry and a steaming cup of coffee. Enjoy eggs Benedict or the vegetarian version, eggs Jennifer. The Cajun Breakfast includes ham, kidney beans and eggs folded in a spicy sauce. Grits, along with biscuits smothered in jam, will satisfy the Southerner in everyone. If you're in the mood for a sugary treat, try Lucile's New Orleans style donuts sprinkled with powered sugar and some fresh squeezed orange juice, both of which will put some pep in your morning step. Create your own omelet or crepe at this popular and intimate cafe. The "Boulder" omelet features broccoli, zucchini, onion, mushrooms, tomatoes, and cheddar cheese and is topped with pesto or salsa. Foolish's huevos are served on a crepe with black beans, house potatoes, veggies and cheese, and then topped with two eggs (any style) and salsa. If you're in the mood for mexican, tacos are served every Tuesday at brunch and lunch for cheap. For something a bit more on the breakfasty side, try one of their delicious benedicts concoctions, including crab cake, nova salmon, and fried chicken. 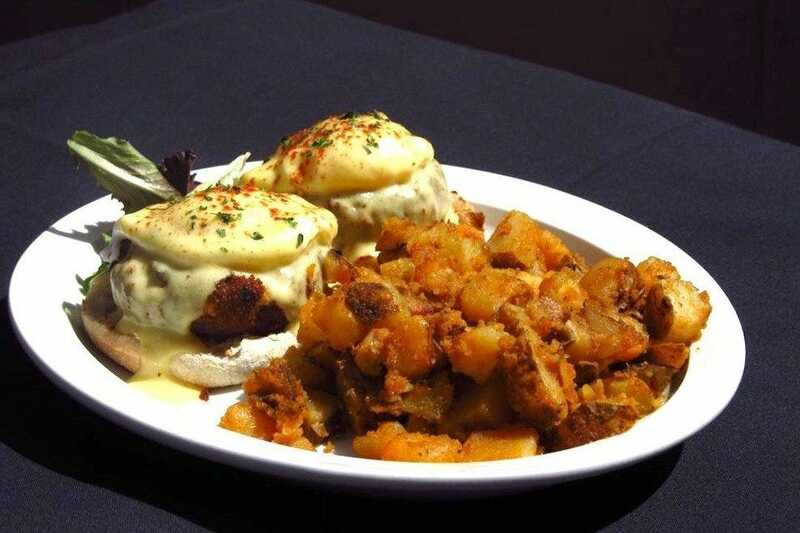 Yep, you heard us-fried chicken eggs benedict. 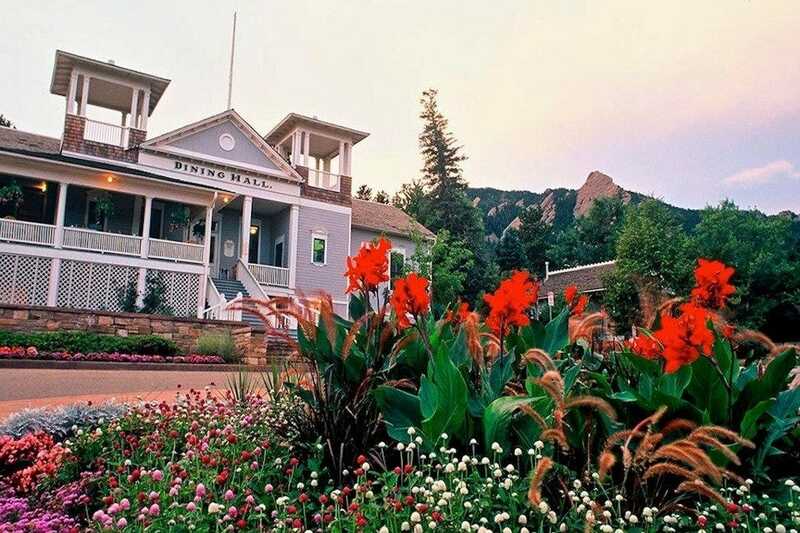 Set at the foothills of the beautiful Flatirons, this century-old landmark features exquisite indoor and outdoor dining (on the historic property's wraparound porch). 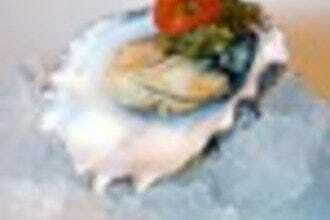 Starters include house-smoked salmon, gazpacho, organic beet salad, and steamed mussels. 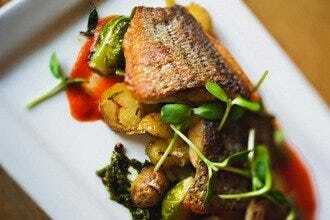 You can also get entrees like grilled Colorado lamb, Rocky Mountain trout, venison steak, pan-seared ahi tuna, salmon, halibut, and vegetarian specialties. 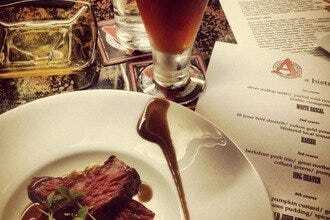 An excellent wine list and a great selection of microbrews highlight the beverage list. After your meal, we highly recommend burning off some calories by hiking in the park. The Royal Arch Hike and Green Mountain are scenic routes that will challenge you and ease your guilt when you return to the dining hall for dessert. 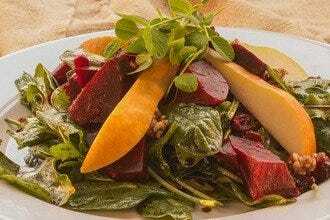 The Early Bird Restaurant, located just 25 minutes from Boulder in lovely Broomfield, Co., offers delicious, local, and organic produce and some of the most decadent combinations around. A family operation, the name "Early Bird" was inspired by owners Daniel and Kristen Cofrades daughter, who was born prematurely and now serves as an adorable inspiration for the couple. Some breakfast favorites include the Biscuits and Gravy, Toasted Gluten Free Granola, and Creme Br�l�e French Toast. Always a line out the door, particularly on weekends, The Early Bird offers coffee as you spend a wait well worth your time. Early Bird's commitment to utilizing locally farmed items and sustainability means that guests can feel good knowing that their hard earned money is supporting a business that cares. Made from scratch recipes reinvent the way you eat breakfast and brunch. 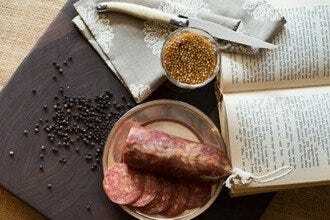 Featuring organic coffees, fresh produce, as well as all-natural and farm raised meats and eggs. 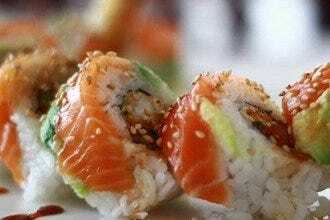 To add to the fun, meals are customizable upon guest request. So you can make up your own pancake or egg concoction whenever you choose. Try the Sandwich I Am served on a soft pretzel roll filled with scrambled eggs, cheddar cheese and a sausage patty, served with a side of smoked cheddar hollandaise & house hash browns. For something savory, indulge in the Havana Daydreaming, featuring Free-range house pulled pork, sliced ham, jack cheese, homemade pickles and a sunny side egg (or your call) with Dijon hollandaise served open face on a hoagie roll. Celebrating 20 years of serving the Boulder community hot and scrumptious brunch, this bagel and gourmet shop is a longtime local favorite for its delicious food and its casual, up-beat atmosphere. 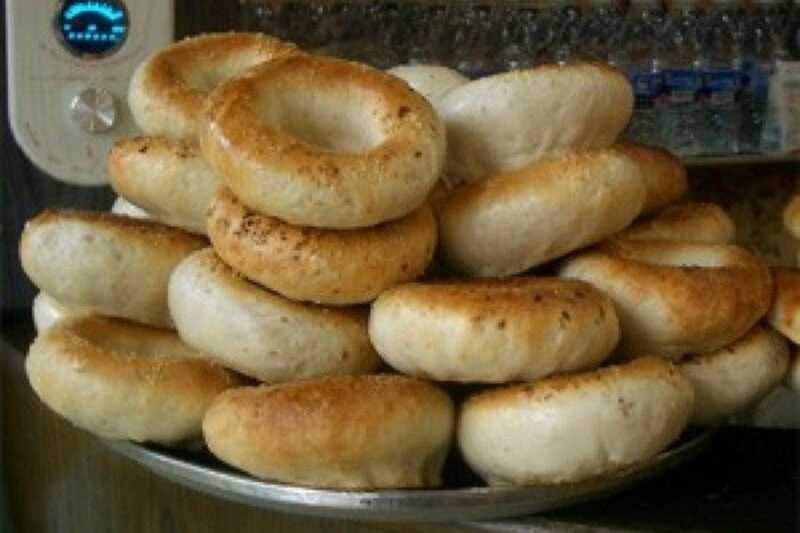 Bagels include a range of flavors such as plain, sesame seed, poppy, honey walnut, cranberry, orange, and blueberry and a good assortment of flavored cream cheeses. Seasonal pumpkin cream cheese bagels are available every fall and Meat Ball Mondays are not-to-be-missed. For you coffee lovers, Moe's offers several varieties of hearty roasts, aptly called Moe Jo, including cappuccinos, mochas, and lattes. If you're in the mood for something other than a bagel, try one of Moe's jam-packed burritos. Located just outside Boulder in quaint Louisville, Colorado The Huckleberry is known for its fresh, delicious, and all-American food. The Border Burger is not to be missed and can be ordered with humanely raised, grass fed beef. A variety of fresh salads also make eating healthy at lunch time simple, including the traditional Greek Salad complete with humus and creamy feta. The Huckleberry also really shines, with a variety of eggs benedicts, biscuits and gravy, milkshakes, and homemade pies. Many items can be made gluten free, vegetarian, or vegan to suit your dietary preferences or needs. Tea and pastries can be purchased to take home, as well as a variety of local and handmade gifts such as jewelry, teapots, and art work that can be found in The Huckleberry lobby. Also, be sure to have a delicious house chai. 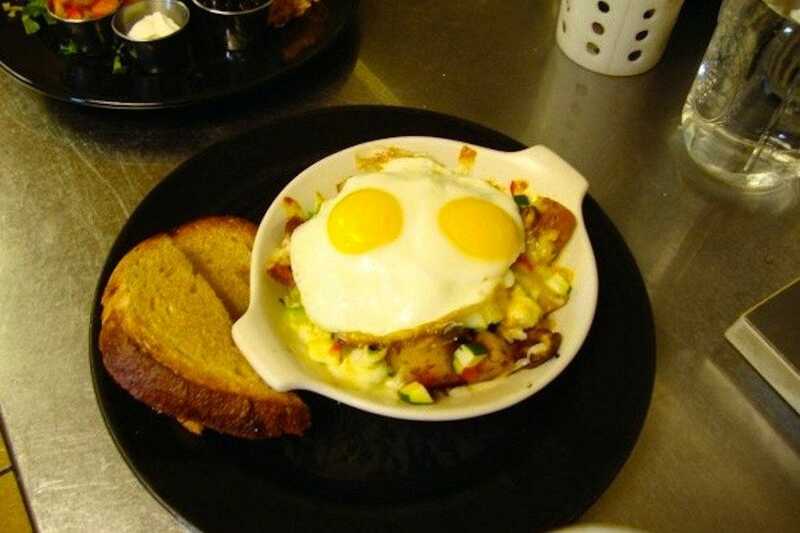 Touted as Boulder's favorite breakfast and lunch joint for 25 years, the Walnut Cafe offers delicious favorites such as the Huevos Rancheros, Breakfast Burrito, and a Quiche of the Day. 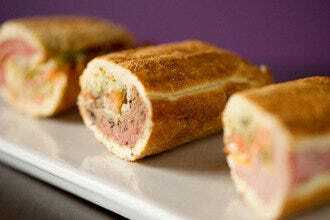 Specialty Sandwiches such as the Boulder Melt and Hot Mediterranean are sure to satisfy. The Sunrise Sandwich is a delight and consists of 2 eggs how you like them, your choice of meat and cheese, served on toasted Rosemary Olive Oil Bread. Sides include fresh fruit, grits, blueberry corn bread, and banana bread. Wanna hear more? The Vegetarian, Mexican, and Denver omelets will all delight and satisfy and be sure to order one of the Walnut Cafe's delicious chais.